24th Annual EPCOT “International Flower & Garden Festival” – Travel, Family & Fun rolled into one! My family’s favorite time of year is springtime and there’s no place we would rather be than our charming home-away-from-home Walt Disney World Resort. What a happenstance, it’s the same time as EPCOT International Flower & Garden Festival. Whimsical landscaping is a given with Disney throughout the year, but Epcot International Flower & Garden Festival is “off the topiary hizzle fa shizzle!” It’s an entirely different level of creativity and design; they are deemed in our book, the Yoda of flower mastery. I could go on-and-on about why this time of year is so special, but I’d rather not to bore you with the details, you’re welcome, lol. The 24th annual Epcot International Flower & Garden Festival will run for 90 days and for the first time in forever 🎶 the Festival Center will broaden operating hours Wednesday, March 1, 2017 through Sunday March 5th, 2017 and subsequent Fri-Sun thereafter, ending May 29th, 2017. If you enjoy the Epcot Food & Wine Festival then the Epcot International Flower & Garden Festival will blow you away, it’s like Food and Wine on multiple Mickey bars! • Topiaries, topiaries and topiaries are displayed all around Future World and World Showcase at Epcot. Some of your favorite characters come to life in a magical floral array of whimsy and color. • Outdoor Kitchens ~ a smorgasbord of 15 local and far-far-away food & drink stations filled with yumminess for you to gulp and guzzle. • Garden Rocks Concert Series has an extraordinary line-up of oldies but goodies. Get ready to shake your booty and wave your hands in the air like you just don’t care. Woot! • Butterflies on the Go~ nothing says Spring like butterflies. They are fascinating creatures and the only insect I want to come in contact with. • Interactive play gardens~ let the little ones explore the play areas and gardens set up to give mom and dad a little break. Admire the gorgeousness and the fact that they are interacting with nature, rather than working on your nerves, lol. • Festival Dining Events~ new dining packages can be purchased focused around Garden Rocks Concert Series or Farm-to-Table dinners. I love everything about Epcot International Flower & Garden Festival. With so many vibrant topiaries, exhibits and gardening gurus; it’s hard to pick a front-runner. Last but not least, don’t forget to sign-up for the Gardens of the World and Behind the Seeds guided tours. 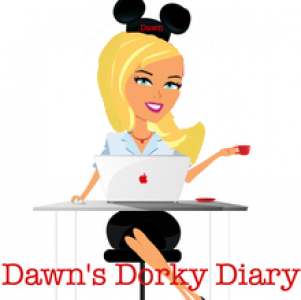 Next Post “Disney Dorks” What makes up the Disney Community?